Garlieston Harbour is a tidal harbour, and is the closest port in Scotland to the Isle of Man. The harbour was used for a trial version of the Mulberry harbour used in the D-day landings. This harbour used to be a very busy commercial fishing port, but today there are only a few boats working the scallop and whelk grounds. There is a small fee for using the slipway; if the harbourmaster turns up it will cost you £3. Launching is straightforward around two hours either side of high water, but is not possible after this due to the heavy mud in the harbour. 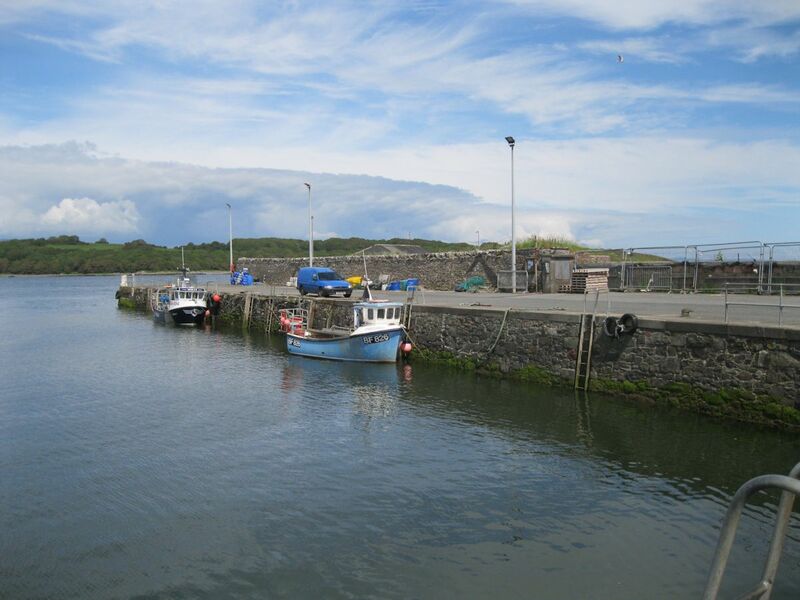 The inner harbour is sheltered in all weather, but the tide can go out a long way past the harbour at low water.